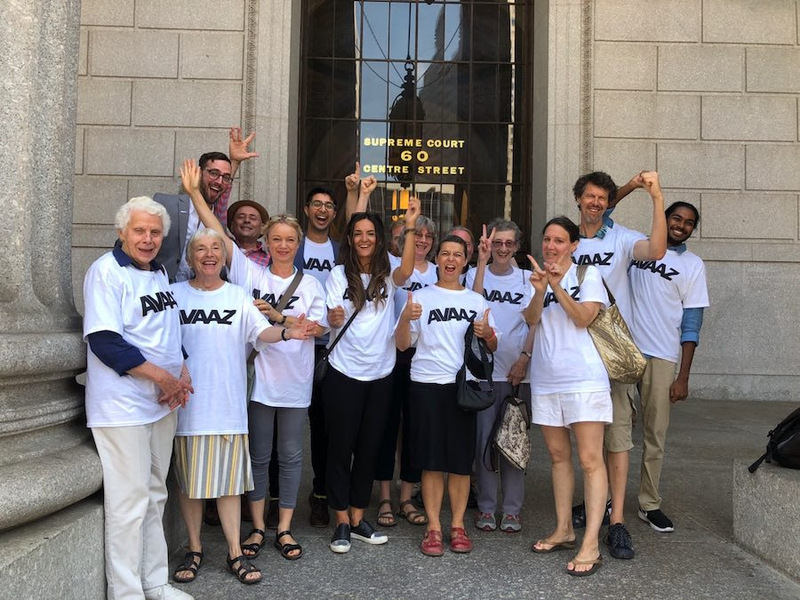 Our hearing just ended, and the judge absolutely DESTROYED Monsanto’s subpoena on Avaaz!!!! He said the subpoena would have a “tremendous chilling effect”, saying “no member would want to have their privacy and their activity known” and actually gave Monsanto a lecture on democracy and free speech!! This entry was posted in Ricken Patel. Bookmark the permalink.